"Biology and evolutionary theory over the past two centuries have simultaneously produced modern organisms as objects of knowledge and reduced the line between humans and animals...”. The quote from the now classic Cyborg Manifesto (1985) by American biologist and feminist Donna Haraway can easily become the motto of Katarzyna Kozyra’s latest exhibition at ŻAK | BRANICKA Gallery, titled A Dream of Linnaeus’ Daughter. We are proud to present, as part of Gallery Weekend Berlin 2018, the first solo show of Tomek Baran at ŻAK | BRANICKA, marking the beginning of our cooperation with the artist. ŻAK | BRANICKA is delighted to present the exhibition Parallels, the new solo show of Paweł Książek at the gallery. ŻAK | BRANICKA is delighted to present the exhibition Words and Colors with works by Jarosław Kozłowski – the artist’s first solo exhibition as well as the beginning of his cooperation with the gallery. As part of the Gallery Weekend Berlin 2015, ŻAK | BRANICKA is proud to present, for the first time in this magnitude in Berlin, a solo presentation by Magdalena Abakanowicz (b. 1930) at St. Elisabeth Church.The centerpiece of the exhibition is a monumental installation titled Bambini, consisting of 83 life-sized sculptures, which was shown in venues such as the Metropolitan Museum of Art in New York (1999), the Jardins du Palais Royal in Paris (1999), or the Reina Sofia in Madrid (2008). The show will also include the works from the series Backs, Bella I and Bella II. Further works can be seen at the gallery space in Lindenstraße 35. ŻAK | BRANICKA is pleased to present Immeasurables, the second solo exhibition by Vlatka Horvat charting exciting new territory in her work.Investigating the politics and poetics of spatial arrangement, order and organization, interpersonal and social relations, Vlatka Horvat’s practice explores the characteristics of interaction between the body, the built environment and the objects that inhabit it. In her collages, photographs and installations, Horvat often places the body in awkward, puzzling and uncanny positions, situating it on the horizon of objecthood – a move which questions the stability of categories and structures through which social and political meaning is made. Whilst the body in Horvat’s work is repeatedly depicted as disjointed and discombobulated, situated between functional and dysfunctional, between subject and object, the space in which it performs its often absurdist and Dadaist operations, is itself ‘out of joint’. ŻAK | BRANICKA gallery is proud to present the third solo exhibition by Paweł Ksi? żek, titled Figures. The word "figure" derives from the Latin language; it can be abbreviated as "fig." or symbolised by the Greek letter "φ", which refers to the figure, can be a symbol of luminous flux as well as golden ratio. Paweł Ksi? 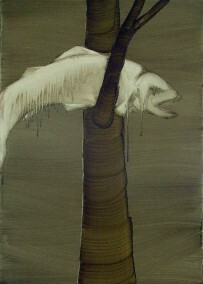 żek uses this ambiguity as the starting point for his new series of paintings entitled Figures. ŻAK | BRANICKA gallery is proud to present the third solo exhibition by Dominik Lejman, titled dis/connected. Dominik Lejman's art work has its roots in traditional painting, but goes far beyond its limits. 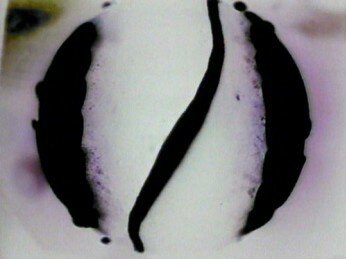 With his unique technique, Lejman combines painting and video projections. In this way, the artist introduces the factor of time to the painting: "painting with time code.” His murals - or "video- frescoes" - also derive from old painting traditions. These are wall compositions, in which, instead of paint, Lejman uses light projected directly on walls, buildings, or in the public space. ŻAK | BRANICKA is pleased to present an exhibition of new works by Michal Jankowski under the title Good Night. The exhibition will take place in the gallery's showroom.Michał Jankowski takes the viewer on a phantasmagorical journey to a world in which subconscious thoughts are brought to the surface and left uncensored. In their morbidity, ambiguity and incredible tactility, the artistʼs works evoke a series of sensations when viewed over a period of time. Jankowski pushes his subjects to the limits of their legibility as images, whilst at the same time building bridges to entirely new worlds of interpretation; each uniquely constructed for, and essentially by, every new observer. For this year’s Gallery Weekend Berlin ŻAK | BRANICKA is delighted to present an exhibition by Zofia Kulik, entitled Instead of Sculpture – Sequences 1968-71. 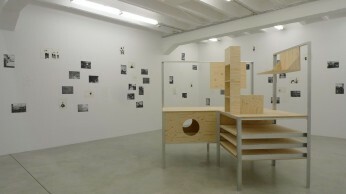 This exhibition is a double "return" for the artist: a return to her solo work after several years spent working on the archive and publishing a monumental monograph dedicated to the artistic duo KwieKulik , and also a return to her earliest artistic explorations; to her graduation work created in 1970/71 at the Sculpture Department of the Academy of Fine Arts in Warsaw. This project has not seen the light of day for over four and a half decades, and was never finally edited. Selected fragments from this work will be presented for the first time as a photo sequences at ŻAK | BRANICKA. 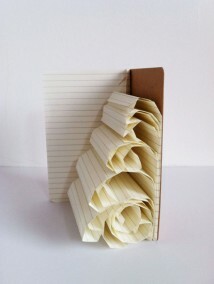 A recurring theme in Joanna Rajkowska's works is collective memory. 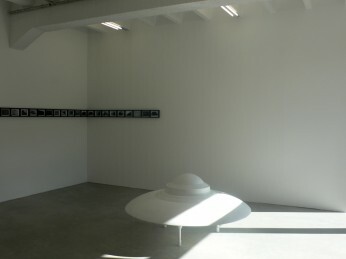 This is often central to her works in public spaces, for example, Greetings from Jerusalem Avenue (2002, Warsaw), or Benjamin in Konya (2010, Turkey). 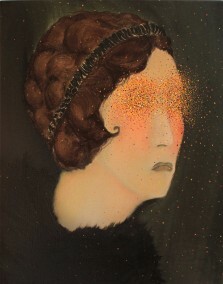 Rajkowska sometimes uses private mythologies in her work, which in her interpretation become a universal story. The exhibition Gold, Silver, Brass includes works created by Rajkowska over the past six years. The starting point is the artist's family history – an ordinary bourgeois family from Warsaw, their story similar to that of thousands of other families, which together shaped the identity of Eastern Europe and its collective memory in the 20th century. Joanna Rajkowska's works are an invocation of the past. Beneath the superficiality of everyday life the artist reveals layers of memory and touches the wounds of the past, from which we all bear scars. You are cordially invited to the exhibition opening on Friday, November 1, 2013 from 6 to 9 pm.ŻAK | BRANICKA is delighted to present the first solo exhibition of the artist Natalia Stachon entitled The Problem of the Calm. The young artist investigates the relationships of space and matter, sensory impressions and experience, form and surface in her works. In the process, the site of art morphs into a stage, habitual conceptions of image are overruled or reinterpreted. The eponymous work is an installation conceived specially for ŻAK | BRANICKA that completely takes up the space. Stainless steel cables, with different formations of glass insulators and stainless steel elements hanging from their ends, stretch from one wall to another. The materials are reminiscent of high-voltage power lines; defunctionalized as weights they generate a new sort of tension, in which the cables regroup to form a space-encompassing design. You are cordially invited to the exhibition opening on Friday, September 20, 2013 from 6 to 10 pm.ŻAK | BRANICKA is thrilled to present the second solo show at the gallery by Szymon Kobylarz, titled Art for Art’s Sake. The idea for his latest project was born in 2011, when Kobylarz made the "Magazynier" [Storehouse Attendant] installation at Kronika Gallery in Bytom. 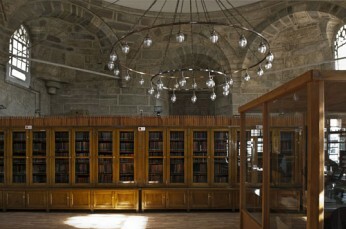 He used some of his previous works in constructing it, dismantling and reusing them as building materials. This sort of recycling or utilization of art was not only a way of cleaning out his storeroom, but also expressed a doubt of sorts: "I wonder about the sense in physically producing works of art,” says Kobylarz. You are cordially invited to the exhibition opening on Friday, June 21, 2013 from 6 to 9 pm. ŻAK | BRANICKA Gallery is pleased to present the weight of 8, our first exhibition of Marlena Kudlicka's work. Specially prepared for the gallery space, the artist has created an installation consisting of three objects along with a narrative, the key to which is the title of the exhibit. The weight of 8 is a description of the relationship between space and language. The artist says that "Letters and words serve to describe a space, while numbers do the same for its measurements. Words are not, however, capable of precisely expressing something, as they constitute a subjective evaluation, yet numbers code precision. I join both forms in a new language." ŻAK | BRANICKA is delighted to present Bilder der Berührung [Images of Contingence], an exhibition of works by VALIE EXPORT to be shown during the Gallery Weekend Berlin 2013. The exhibition highlights the artist’s groundbreaking expressions of physical contact and its implications in various media, including installation, drawing, photography, film and archival materials. The title of the exhibition is rooted in VALIE EXPORT’s installation work Fragmente der Bilder einer Berührung [Fragments of Images of Contingence] of 1994, in which pole- and wire-hung light bulbs are rhythmically immersed into cylinders filled with milk, used oil, or water. These liquids are fundamental sources of our existence. At the same time, their physical fusion with electricity implies a life-threatening danger—a contradictory, yet also mutually conditioned state of joining and repelling. The rhythmic movement in this work is repeated in a second installation of the exhibition, Die un-endliche/-ähnliche Melodie der Stränge [The un-ending/-ique melody of cords] of 1998, a recording of a threadless sewing machine and its sound. Looking for Jesus is the latest project by Katarzyna Kozyra, a project in the making, beginning over a year ago, and continuing its creation for at least a few more months. 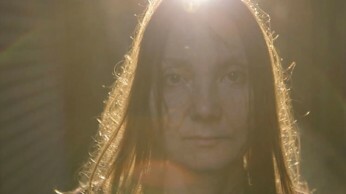 This time, Kozyra assumes the position of a researcher, allowing us—the audience, the press, the public—to be interested in her works: into the formation process of the work, the subsequent stages of editing, tracking the film or rather video installation, from the very beginning of its creation. The project was produced with the support of Ministry of Culture and National Heritage of the Republic of Poland and a private collector. In 1961, Gorgona fled from the then powerful communism into the irrational, the incomprehensible. The inactivity of Gorgona was noticeable. Several young people whose mutual affection was the decisive connective factor met occasionally. Gorgona did not have any messages! It was a particular type of activity, auto-ironic, affording a feeling of being unusual. Perhaps it brought something new; perhaps it only resolved its life problems, feelings of being hemmed in. Perhaps it left nothing behind apart from friendship and spiritual closeness. Josip Vaništa ŻAK | BRANICKA is delighted to present its first exhibition by the proto-conceptual Zagreb-based group Gorgona that unrealised itself between 1959 and 1966. ŻAK | BRANICKA proudly presents an exhibition by the legendary avant-garde film artist of the 1960s and 1970s, Józef Robakowski (*1939). 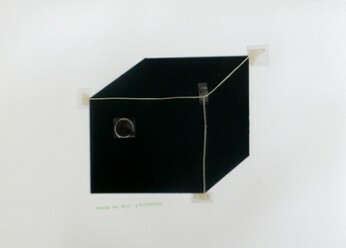 Its main subject is the line, one of the most simple and radical motifs, and one which has repeatedly cropped up in this artist’s work since the 1970s. 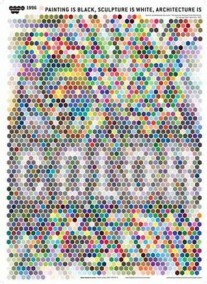 Opening September 11, 2012, 6 to 9 pmŻAK | BRANICKA Gallery is proud to present an exhibition by the most famous Polish concrete poetry artist: Stanisław Dróżdż. 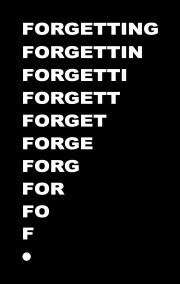 The show comprises four language versions (Polish, English, German, Finnish) of one of his most famed works: Forgetting. The bases of Stanisław Dróżdż’s works are short texts or words. These evolve into images and are recontextualized by deconstructing their semantic meanings through a specific connection or arrangement on a flat layer or in space. In 1967, still unaware of the existence of Concrete Poetry in western art, Dróżdż started writing a kind of poetry, for which he invented the name Pojęciokształty [Concept Shapes], and whose form reflected its content. Although Dróżdż thought of himself as a poet, in his practice he materialized words through which the event of viewing became a process of actually understanding words. Even then, Dróżdż was interested in the connection between words and space. 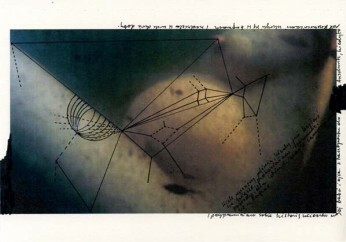 In his famous work Między [between] (Foksal Gallery, 1977) the word is written into the space of the gallery. Hence, the viewer finds himself inside the work and literally between the word. Opening: January 27, 2012, 6–9 pmŻAK | BRANICKA is delighted to present the second solo-exhibition Lux Aeterna in the gallery.The exhibition Lux Aeterna by Hubert Czerepok focuses on humanity’s dream of attaining omniscience. Czerepok is interested in the border between enlightenment and possession, between good and evil. Opening: November 18, 2011, 6–9pm ŻAK | BRANICKA is delighted to present Vlatka Horvat’s first solo-exhibition at the gallery.Investigating the politics and poetics of spatial arrangement, order and organization, interpersonal and social relations, Vlatka Horvat’s practice explores the characteristics of interaction between the body, the built environment and the objects that inhabit it. In her collages, photographs and installations, Horvat often places the body in awkward, puzzling and uncanny positions, situating it on the horizon of objecthood—a move which questions the stability of categories and structures through which social and political meaning is made. Whilst the body in Horvat’s work is repeatedly depicted as disjointed and discombobulated, situated between functional and dysfunctional, between subject and object, the space in which it performs its often absurdist and Dadaist operations is itself “out of joint”. 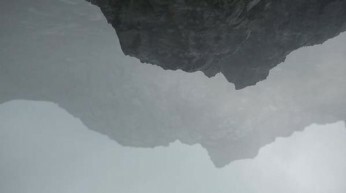 Opening: September 9, 2011, 4 to 9 pm We are delighted to present Dominik Lejman’s second solo exhibition, entitled Far too Close, at ŻAK | BRANICKA Gallery. Opening: July 1st 2011, 6-9 pmMichal Jankowksi is part of the younger generation of artists, often labelled as “tired of reality,” the source of whose art is to be found not in the surrounding reality, but in the imagination, dreams, or hallucinations. 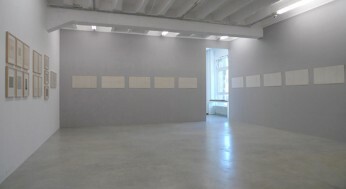 Opening: Friday, April 29, 2011 from 4 to 9 pmRoman Opałka is one of the most radical and famous conceptual artists to date. In his life long project entitled Opałka 1965/1-∞ he paints consecutive numbers in white colour on canvases of consistently equal dimensions (195 x 135 cm), since 1965. At this time Opałka has reached the number 5 590 000. On the occasion of Opałka’s 80th birthday ŻAK | BRANICKA presents eight of his photographic self-portraits. 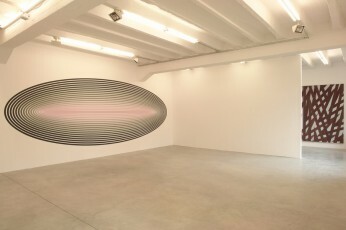 This is the first exhibition of his work in Berlin in seventeen years. Opening: Friday, March 18, 2011 from 6 to 9 pmFrench critic Nino Frank is often given credit for coining the term “film noir”. He alleged that the novelty of film noir is its shift of the emphasis from the action to creating expressive model characters e.g. : the detective in a trench coat or the demonic femme fatale in a satin dress with a cigarette in her hand. In his drawings Pawel Olszczynski goes one step further—he abandons the characters and focuses on their props. In his work items of clothing subjectively become phantoms of the body. It is his private world—a fantôme noir. 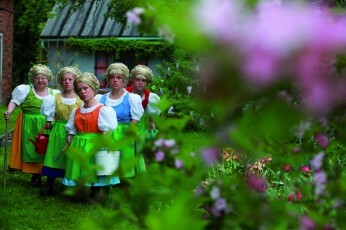 Opening: Friday, February 4, 2011 from 6 to 9 pmJoanna Rajkowska is best known as an artist who works with public spaces. 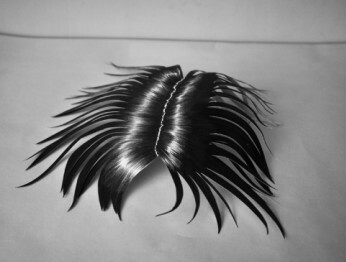 Collective memories and identities of societies form the raw material for her pieces. Her newest project The Task of the Translator was inaugurated in Konya (Turkey) last year. The starting point for Rajkowska’s project is her reflection on the mechanisms and consequences of the language reform that took place in newly founded Turkey in 1928, led by Mustafa Kemal Atatürk. Obsessive SettingOpening: Friday, November 12th, 2010, 6-9 pmAfter the dream, they set out in search of that city; they never found it, but they found one another; they decided to build a city like the one in the dream. Italo Calvino, Invisible Cities On July 26th, 1963, Skopje (Macedonia) was hit and destroyed by a devastating earthquake. In 1965, a team of Japanese architects, ‘Kenzo Tange Associates’, was invited to compete for and eventually won the opportunity to construct a new Master Plan for the city. However, this original plan was never fully implemented. Briesen is the old German name for a provincial town situated in the north of Poland that was once a part of former eastern Prussia. The town's Polish name, W? brzeźno, is one difficult for the foreigner to pronounce. It is a grey and unremarkable place. It is where Krzysztof Zieliński was born and raised. 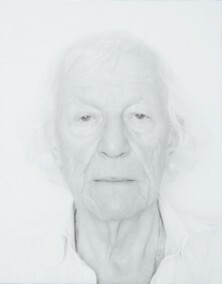 Briesen is also the name of the artist's new photographic series. STANISŁAW DRÓŻDŻ | CARL ANDRE | ROBERT BARRY The exhibition at Gallery ŻAK | BRANICKA displays for the first time the work of Polish Concrete Poetry artist Stanisław Dróżdż, alongside the classic minimal and conceptual work of Carl Andre and Robert Barry. 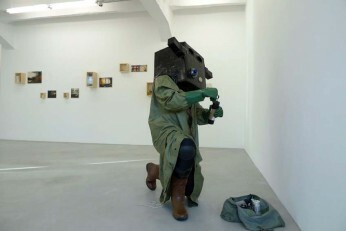 GALLERY WEEKEND BERLIN As part of Gallery Weekend, gallery ŻAK | BRANICKA takes great pleasure in presenting Paweł Ksi? żek’s Poelzig VS. Poelzig. This is the second exhibition of the artist’s work, following Silent Utopia at Art Basel Statements 2009, and is based on ideas connecting cinema produced during the inter war years and modernist architecture. Three Videos with NarrationOpening: March 19, 2010, 6-9pm ŻAK | BRANICKA Gallery takes great pleasure in presenting the most recent work of Agnieszka Polska: "Three Videos with Narration". Polska is one of the most interesting Polish artists of the younger generation (born 1985), whose work has been shown at the KW Institute for Contemporary Art in Berlin, the Kunstbygning in Aarhus and the Zacheta National Gallery of Art in Warsaw. The ŻAK | BRANICKA Gallery is proud to present Activities with Dobromierz (1972-74), a work by the artistic duet KwieKulik, one of the most important phenomena of the eastern European neo-avant-garde 1970s movement. Activities with Dobromierz has already had much international publicity including showings at Documenta XII in Kassel and the XI Biennale in Istanbul (2009). Civil DefenseOpening: November 20th, 2009, 6-9pmParanoid protuberances of science are Szymon Kobylarz’s source of inspiration. He is interested in quasi-scientific absurdities and the border on which rationality and obsession fester. In his newest work, realized for Gallery ŻAK | BRANICKA, Kobylarz utilizes experiences from his school days. At that time and in light of the Cold War, all the Warsaw Agreement member states established “Civil Defense” courses. The subject matter of these lessons regarded defense mechanisms pertaining to various threats and the requisite behavior in the case of catastrophe. The children learned First Aid measures. 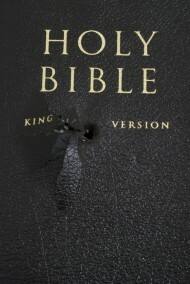 They also obtained basic knowledge of the building and handling of weapons. For Kobylarz, the “Civil Defense” course had a completely different meaning: it was a frame in which the boys were finally allowed to play war. At that time as well as now, he is so engaged by the provisional and abstruse conception of homemade emergency equipment that he dedicated the entire exhibition to it. With “Civil Defense” Kobylarz asks the questions, what happens to science if it takes a wrong turn? How far can science let itself be compromised and perverted? While working on this project, the artist transformed himself into a kook inventor and in that process he turned towards an antiquated artistic model: he has repositioned art between science and Utopia. Opening on Friday, September 25, 2009, 6-11 pmThe Afterparty is set at a strange apex of suspension. Does it have an end point? Or could it be a permanent state? The moment when music still drips out of the ears and alcohol wades around in the brain, and when broken glass groans underfoot – it is the moment when everyone is gone and an uncomfortable silence takes control. Make-up streams down the empty faces, and behind the boarded up windows, a new day wakes up a city and you feel like a clown. You see and understand too much to admit the truth. The Afterparty is the end of levity. 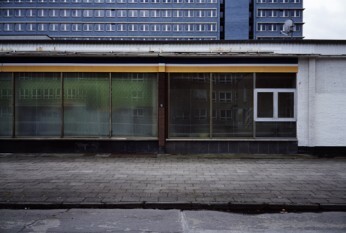 Exactly at this moment, these few seconds when time has delayed itself, is the topic of Domink Lejman’s work. 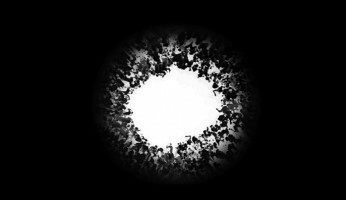 Lejman’s technique is innovative: he projects video onto the dark surface of monochromatic, abstractly painted canvases – in this way the surface of the canvas and the projection are optically merged. 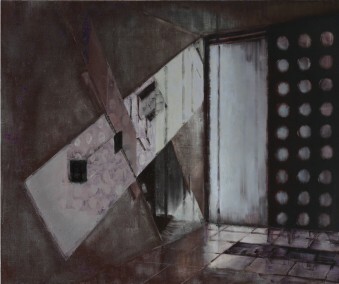 Despite Lejman’s depriving both media of their autonomy, he considers this work as a pure painting process with projector’s light seen as another layer of both the brush and its stroke. In that way, the traditional painting takes on a new factor: time. 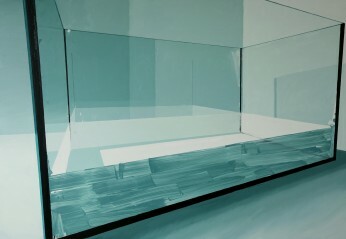 Domink Lejman’s paintings are time-based paintings. Paweł Ksi? żek’s project, Silent Utopia, combines two potentially distant aesthetic subjects: Eastern European Modernism in Architecture and German silent films of the 1920s. 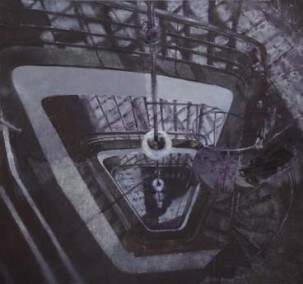 Silent Utopia consists of paintings, photo collages, and video based on found footage from the silent films. ECHO Opening: 1 May 2009, 4-9 pm Upended little bags of Cocaine in which the drugs are replaced by a streak of white; an empty Aquarium, in the panes of which its own reflection is visible; paintings that copy faded, scaled down versions of themselves – these are the phantoms of Zbigniew Rogalski’s Paintings. Gleaning the GlossOpening: 20.3.2009 6-9 pmŻAK | BRANICKA is pleased to present Kasia Fudakowski’s first solo show in Berlin, Gleaning the Gloss. The exhibition features 12 new sculptures. 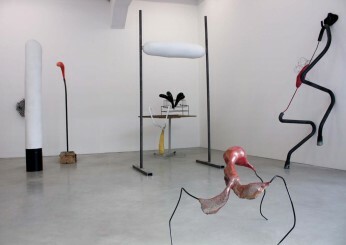 They are characters, objects and obstructions which transform the gallery into a great forest of delicious and sinuous forms that while invoking surrealist associations, at the same time recall abstractly figurative forms in the midst of identifiable gesture. 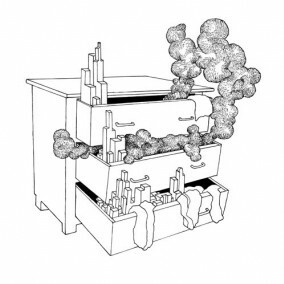 CHIMAERA: Bjorn Hegardt, Lisa Iglesias, Stephan WeitzelOpening: 20.3.2009 6-9 pmThe exhibition presents work by three artists focusing on drawing as their medium. Video Point | White video Opening: February 6th 2009, 6-9 p.m. Jastrubczak is a young multimedia artist who examines the fields of invisibility, disappearance, ephemeral revelation and lunacy. At the same time as his work is absurd and amusing, it is also deliberate and somber. 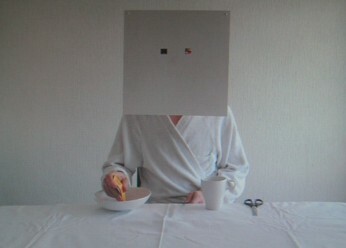 In White Film, we see Jastrubczak sitting in a white bathrobe with a white square suspended to cover his face (with eyeholes, also square). He is tapping out a beat. Jastrubczak presses an unidentified buzzer into the bottom of an empty white bowl on the table in front of him and taps the table, a white mug, and a pair of scissors with the back of a spoon. 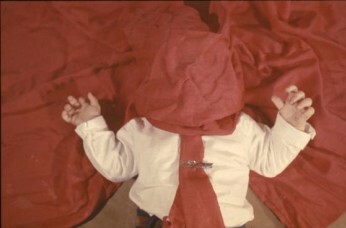 In the short video, Jastrubzcak renders himself neutral by shielding his identity and nullifies himself in white. He becomes another white object, like the mug or the table, performing an action and only fulfilling his duty: a white robot. Since its inception, photography has enabled the media to spread unlimited amounts of images endlessly, but within this growing mass of pictures, certain images have tended to single themselves out. Engraved in public memory, they seem familiar and they seem to represent the entirety of what they portray: the horror of war, the psyche of a leader, or the despair of refugees. 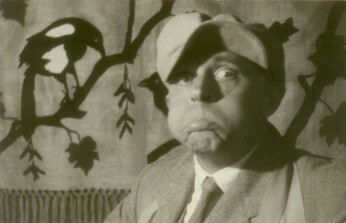 Anna Baumgart uses some of these famous press photographs as the points of origin for her work. In the hands of the young artist, Agnieszka Polska, the human body becomes a projection involved in rituals of subjugation that overturn social norms and expectations. 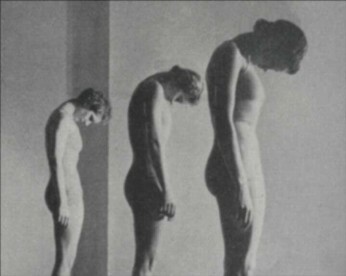 "Medical Gymnastics" is based on photographs from a 1920’s book of physical therapy exercises for children that Polska digitally manipulated, implanting eroticized movement with an almost unsettling quality. Exhibition: 06.09.2008 - 24.10.2008 Perhaps as a result of Jarosław Fliciński’s training in architecture and painting, the idea of imposing painting onto a space comes naturally to him. He began working with oil on canvas, but soon shifted from the canvas straight onto the walls. My paintings slid suddenly from the canvas. It happened in the moment when the canvas’s frames became too narrow. The exhibition´s title FAT TROUT refers to the name of a trailer park in the film Twin Peaks- Fire walk with me by David Lynch, a location, where detectives searched for clues concerning the murder of Teresa Banks. In the film a fat trout was depicted on the welcome board of this mysterious and frightening location. 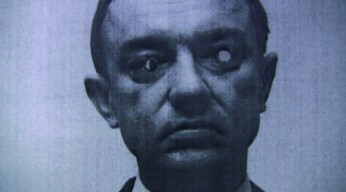 This motive, in combination with the dark atmosphere of David Lynch’s film, provided the motivation for Jankowski’s further explorations. Piotr Jaros, The HouseJaros' Filme, Zeichnungen, Fotografien und Prototypen der letzten Jahre, sowohl solche, die sich auf die rätselhafte Sphäre von Haus und Herd beziehen, als auch seine ironisch futuristischen Fantasien über die Arbeit, nehmen eine Form von offen strukturierten, existentiellen Anekdoten an. HaunebuThe project Haunebu reconstructs one of the most thrilling conspiracy theories of World War II: German engineers were to invent spaceships with the aim of winning the war for Hitler’s Germany. This safely guarded secret, the so called Wunderwaffe, was a flying saucer named Haunebu. Based on available documents, Hubert Czerepok strives, in as realistic way as possible, to represent the myth of an advanced German technology. At long last, after her participation at the Documenta XII the polish artist Zofia Kulik received international attention. As many documentation photos have proven, her large-scale photomontages fascinated the public. 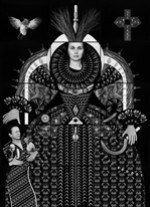 Her monumental black and white constructions, consisting of a multitude of smaller motifs, connect like a puzzle to reveal the whole image.